Log in at canvas.ucsc.edu or use the login button on the right to access Canvas at UCSC. Faculty: Course shells are available as of Feb. 26 to configure for all Spring 2019 courses. Students: Courses you are enrolled in for Spring 2019 will appear after Feb. 26 under "Future Enrollments" in Courses > All Courses. They will be available to you when they are published by the instructor. 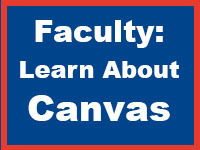 Online courses are hosted on a separate instance of Canvas during Fall, Winter, and Spring quarters. Login to login.uconline.edu with your CruzID and Gold password to access your online courses. 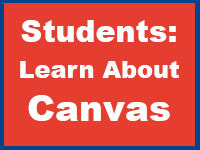 Canvas is a Learning Management System (LMS) that integrates digital tools and resources for the administration, documentation, tracking, reporting and delivery of educational courses and training programs. It is a cloud-based service where instructors and students interact, collaborate, teach, learn, and communicate through course sites developed by instructors. This application is governed by The Regents of the University of California. Use of this application's services subjects you to applicable law and university policies, procedures, and collective bargaining agreements, including, but not limited to UCSC's Acceptable Use Policy and the Access to Information Statement. Misuse may result in the loss of access privileges and/or administrative discipline under applicable UC policies and collective bargaining agreements, and/or criminal prosecution under applicable statutes. Please contact the ITS Support Center with any questions prior to signing in. For information on privacy of student records, see UCSC Policy on Privacy of Student Records.